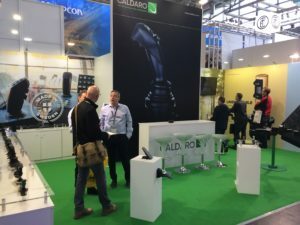 Vehicle control components manufacturer Caldaro unveiled its new, smart suspended pedal, the P11, at Bauma this week (April 8-14). Caldaro found a way to create a suspended pedal with a totally new look, which still keeps the smart features of the P09 such as a minimal number of components and protected electronics in a compact design. 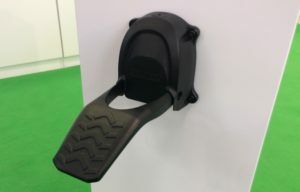 It also now features a distinctive cutaway shape to allow water to easily run off the pedal, thereby improving safety by reducing the chance of a foot slipping. The overall result is the P11, a modern, aluminum pedal, that withstands the toughest conditions. By now thousands of P09 pedals have been tested in all kinds of challenging environments, so using the smart construction concept again in the P11 was done with a high level of confidence. 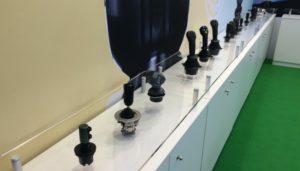 The P11, along with the full range of Caldaro control solutions, can be found at Bauma in Hall A2, stand 442.